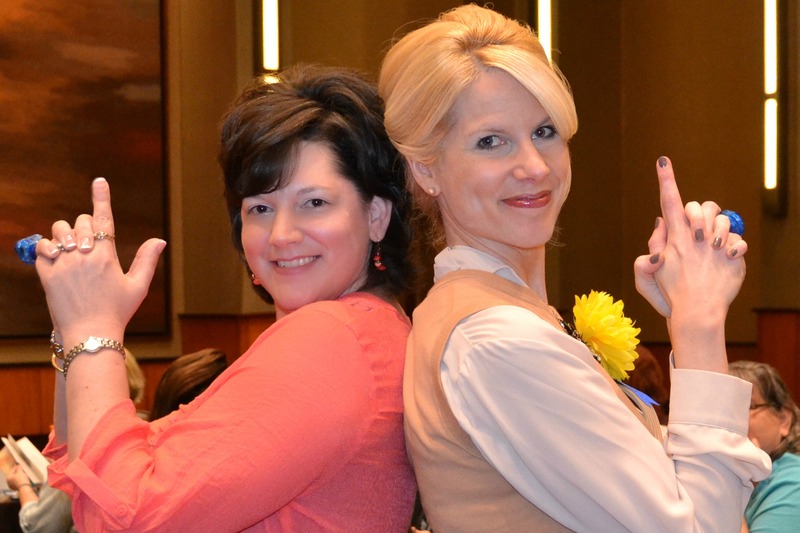 Two weeks ago, my mother and I headed to Dallas for our first RT Booklovers Convention. We had a FANTASTIC time!!! 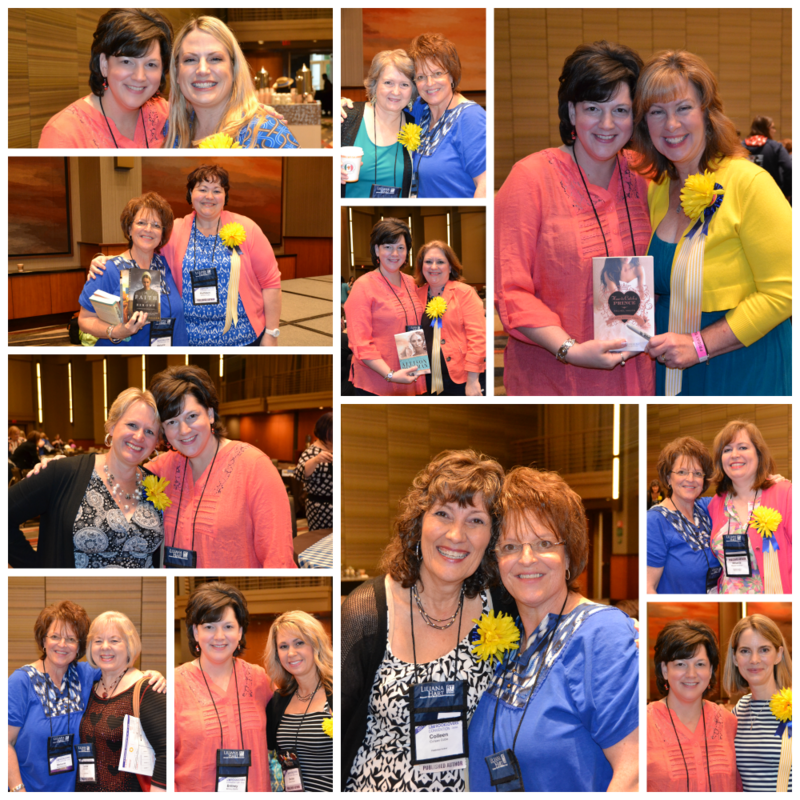 It was such fun to spend a few days with so many wonderful authors! There were some we’ve known for several years and others we met for the very first time. All were lovely and gracious!! 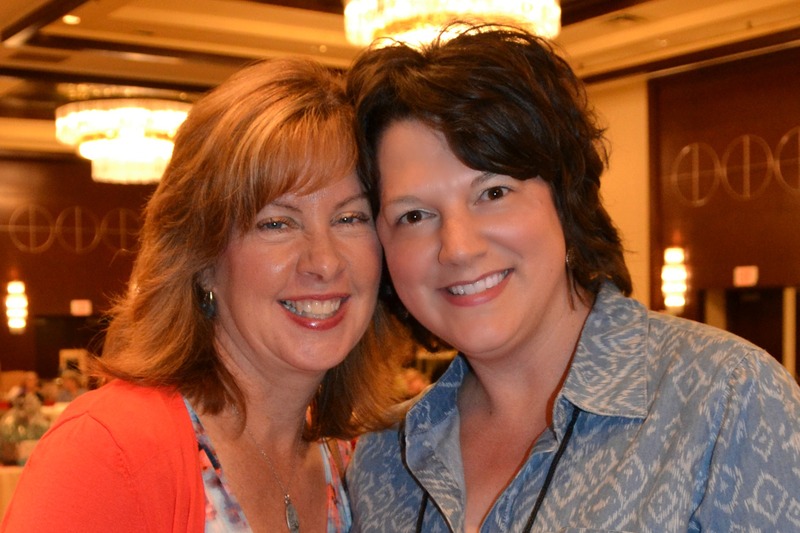 Loved meeting the fabulous Rachel Hauck! 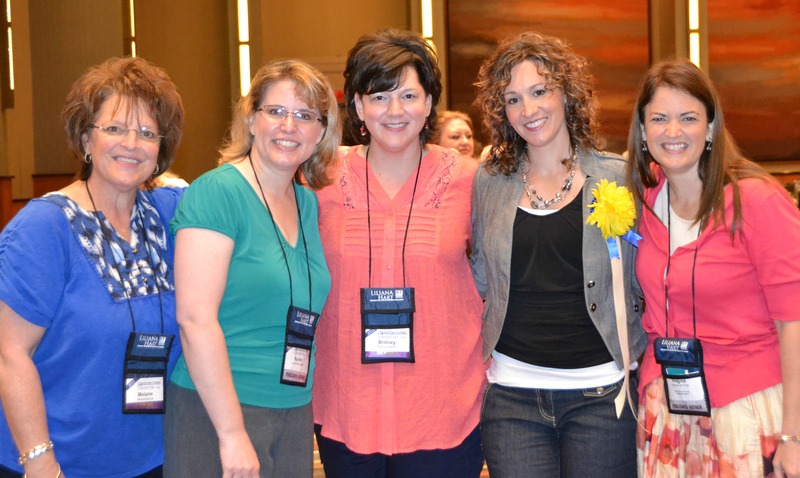 We’ve known each other online for a few years and were thrilled to meet in person! The inspirational panel was very interesting! 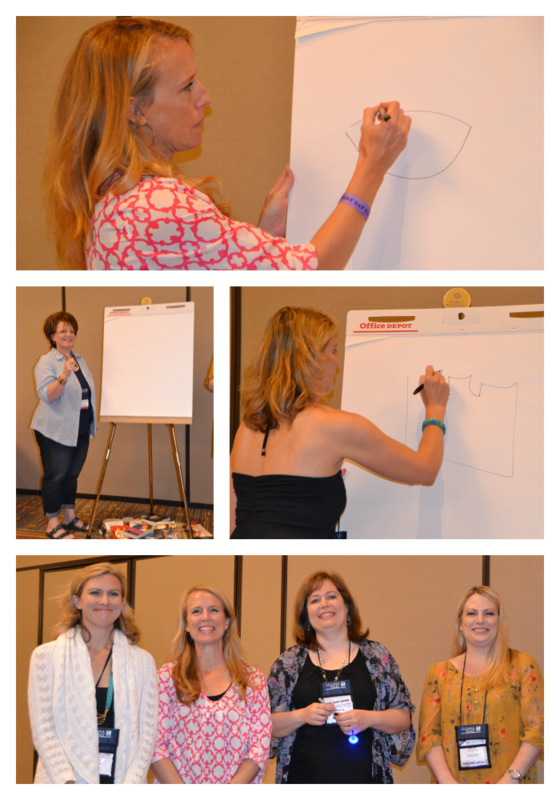 It was great to hear each of the panelists discuss What Makes a Bestselling Novel Bestselling. A room full of lovely ladies! 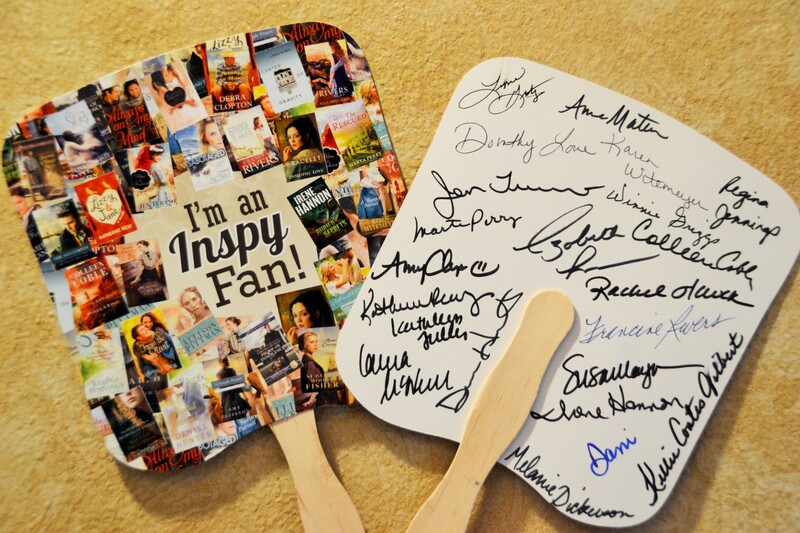 In addition to book prizes, participants were given these adorable fans signed by all of the authors. It is one of my very favorite swag items from the convention!! Friday morning brought our favorite event of the convention, How Sweet It Is, Y’all. 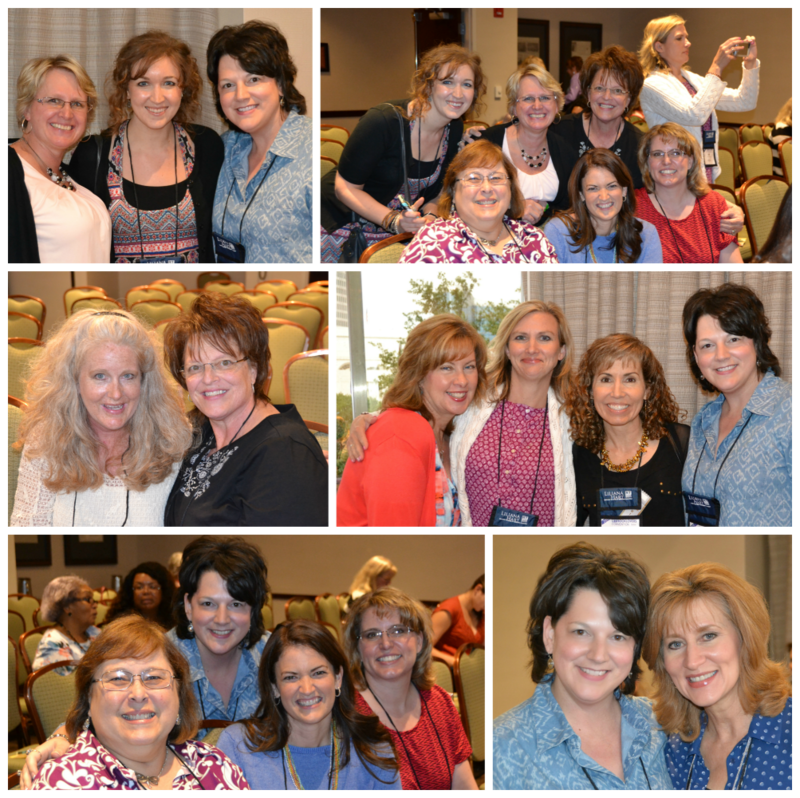 This lovely breakfast was hosted by Thomas Nelson, Zondervan, and Tyndale House. 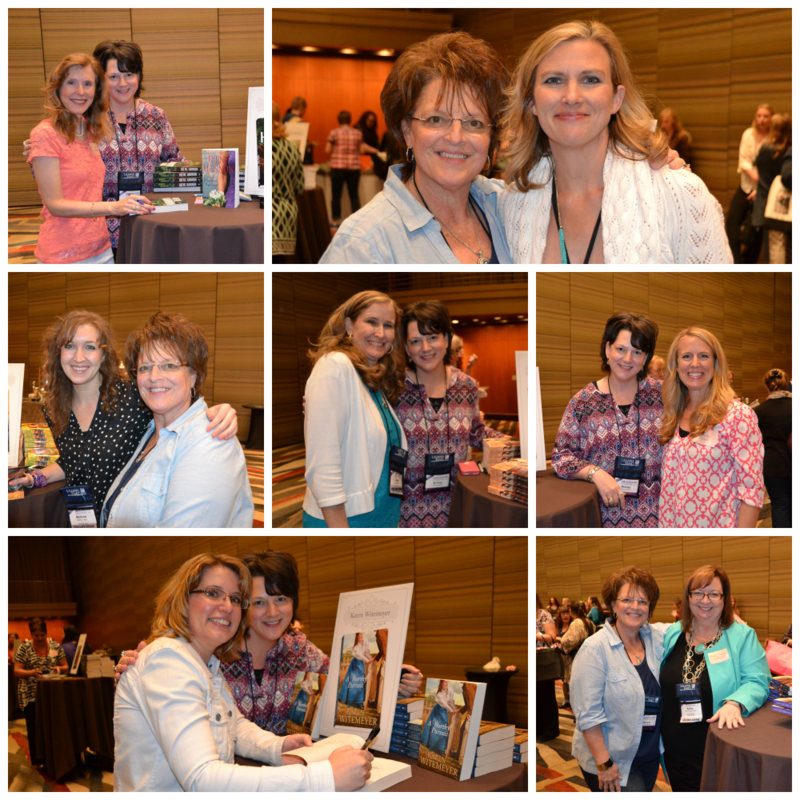 Eighteen of their authors were introduced and then they circulated around the room meeting and visiting with everyone and signing books. The food was scrumptious and the company was even sweeter!! In our goodie bags, we all received a blue, blinging ring and we raised them in honor of this sweet event! 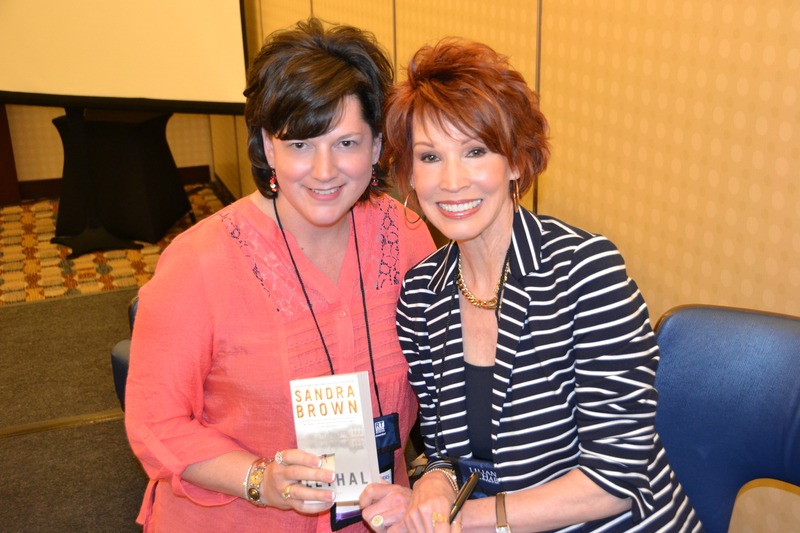 Sandra Brown was fascinating! 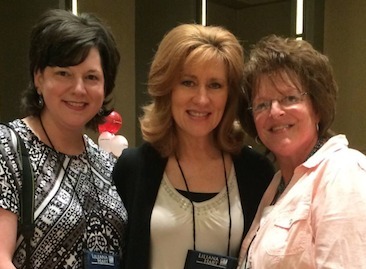 We loved the author chat with Sandra and Kathy Reichs. 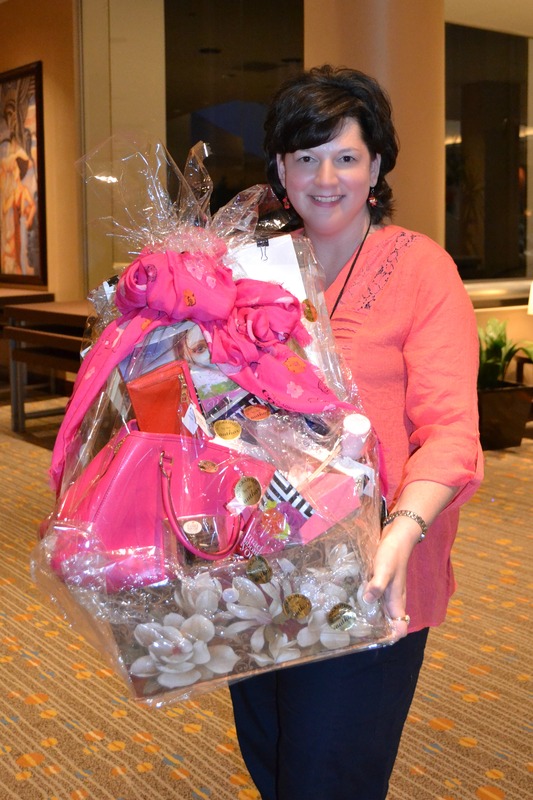 To top off this exciting event, I won this gift basket full of FABULOUS gifts from some of my favorite Inspy authors. Of all the names that were stuffed in the entry box, I was shocked that mine was pulled out of the hopper. Shocked! 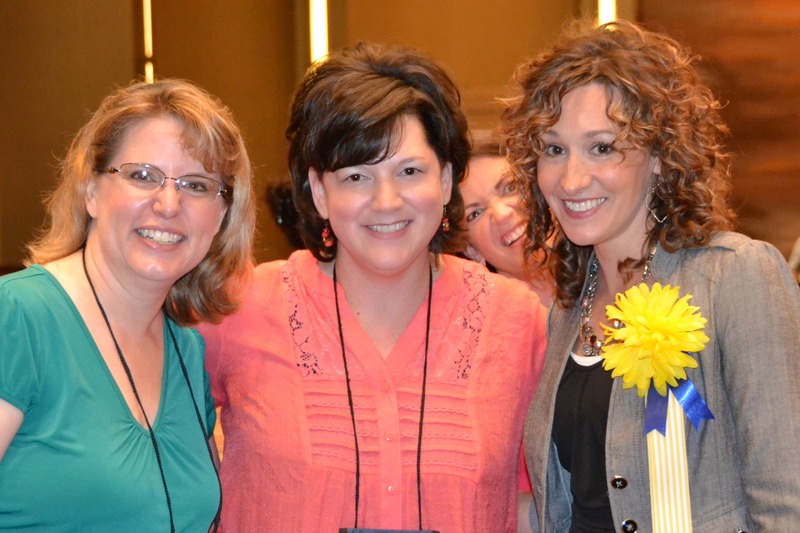 RT 2015 was SO MUCH FUN!! I’ve just shared a quick glimpse of our time there. We met SO MANY GREAT AUTHORS and brought home SO MANY GREAT BOOKS! I can’t wait until we meet again, friends!